Mañosa’s designs are quietly subversive; “I design Filipino, nothing else” is a famous quip of his. 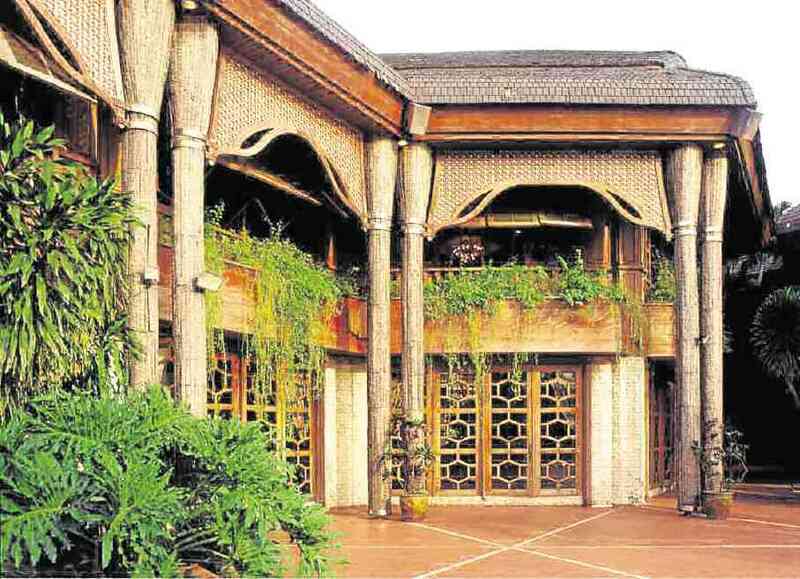 By dedicating his life to figuring out what Filipino architecture was beyond the bahay kubo (which, as it turned out, involved going back to the classic bahay kubo and analyzing why it works and what makes it uniquely Filipino), he also made clear architecture’s power. Architecture is not a neutral art, and the choice of design is its own statement. It should also be noted that by elevating structures often dismissed as “primitive,” Mañosa’s designs are effectively decolonizing our architecture. His mission has been described a lonely crusade, but we don’t think so. Much in the same way Albert Camus opined that you must imagine Sisyphus happy as a revolt against a meaningless existence, we should acknowledge Mañosa’s (mostly) one-man task to author Filipino architecture as the influential revolution that it is. To start, you can take a look at some of his iconic works. 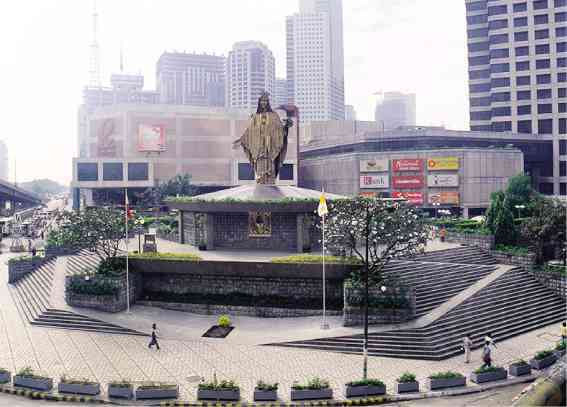 This is the shrine along EDSA featuring a giant sculpture of the Virgin Mary atop a dome church. It’s a symbol of the People Power Revolution, a marker of the day Filipinos came together in a nonviolent revolt against a terrible and unpatriotic dictator. It is said that, while designing the edifice, he was told to make the church more characteristically Spanish, and that he said, “I cannot do that to our country or to our people,” in reply and stormed off. What’s the eight wonder of the world? Many countries have staked their claim to having the landmark that just missed the cut off to be a world wonder. Our own unofficial world wonder is the Banaue Rice Terraces, terraces carved into a mountainside by the ancestors of the indigenous Ifugao people. In the same way that the Egyptian pyramids are the vestiges of ancient Egypt, proof of a complex civilization that could create such grand edifices without the use of modern technology (unless you’re one of the racists that believe aliens were behind them because brown people couldn’t possibly do any of that), the rice terraces is proof of our ability to create, proof that our people were complex beings whose stories were meant to be told. If you ever imagined what Filipino design would’ve looked like if we were never colonized, it would probably look like that. In honor of that, Mañosa and his brothers designed the San Miguel Corporation’s head office in the Ortigas Center after the historic terraces. The low-rise building was built in 1976, and was later revisited in 2006 by Ildefonso Santos, fellow National Artist for Architecture and founder of Philippine landscape architecture, to landscape the building, making it even greener and resemble the Banaue Rice Terraces even more.